The ADA-8XR is a modular system and this provides great flexibility when creating systems with larger numbers of channels. 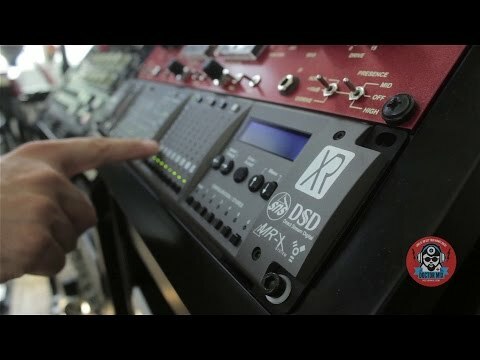 Whether you need just a few channels of high-quality conversion or large a multi-track setup, the ADA-8XR is the natural choice. Using combinations of the basic system options and the range of digital interfaces you can build the system that perfectly matches your requirements. For more detail see the ADA-8XR Configurations section. For computers without FireWire, the FireWire equipped ADA-8XR can also be used with Thunderbolt equipped computers via third party Thunderbolt to FireWire adaptors. Of course FireWire adaptors are also available for ExpressCard and various flavours of PCI cards. 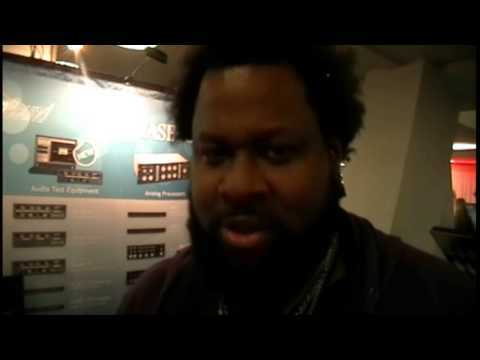 We catch up with drum specialist Ulrich Frost at NAMM 2013 who waxes lyrical about our ADA-8XR multi-channel converters. A/D converter, 8-channel, line input. Part no. 8C-AD Analogue line input, XLR connectors, with 'Overkiller' progressive fast-acting overload limiter. D/A converter, 8-channel, line output, Part no. 8C-DA. Analogue line output, XLR connectors. Part no. 8C-AES, Transformer-coupled AES I/O on DB25 connector 1.5m break-out lead to male and female XLRs. Compatible with Digidesign Pro Tools|Mix™, Part no. 8C-PT, Digital module, cable not supplied. Compatible with Digidesign Pro Tools™|HD. Part no. 8C-PTHD, Digital module, cable not supplied. Compatible with Digidesign Pro Tools™|HDX. Part no. 8C-PTHDX, Digital module, cable not supplied. Implements IEC 61883-6. Part no. 8C-FW Digital module, 2 x 6pin IEEE 1394a. Cable not supplied. 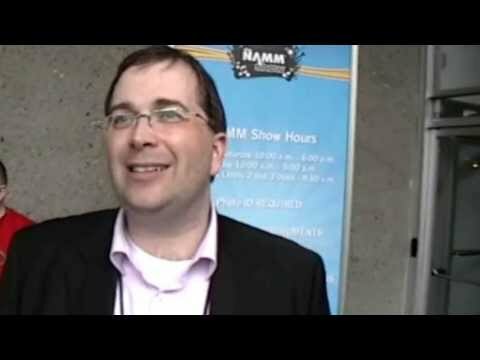 DigiLink are trademarks of Digidesign, a division of Avid Technology Inc.
ADAT is a trademark of Alesis Corporation. Microsoft and Windows are trademarks of Microsoft Corporation. Apple, Macintosh, Core Audio, FireWire and OS X are trademarks of Apple Computer, Inc.